The question "does size matter?" only gets asked when people have naughty conversations. But with Samsung, size - whether small or big - is definitely not a problem. After the immense success of Samsung Galaxy SIII comes a miniature version called the Samsung Galaxy SIII Mini, which has the same powerful performance and function in a new form and size. The Samsung Galaxy SIII Mini still carries the same philosophy as the rest of the Galaxy line of smartphones - that is, "designed for humans." Having it in a smaller form factor as compared to its predecessor, the SIII Mini provides the perfect grip and ergonomic handling. Enjoying movies, photos, and web browsing is still very much achievable even with a small and sleek design thanks to its 4.0" WVGA Super-AMOLED display and 5 megapixel camera. 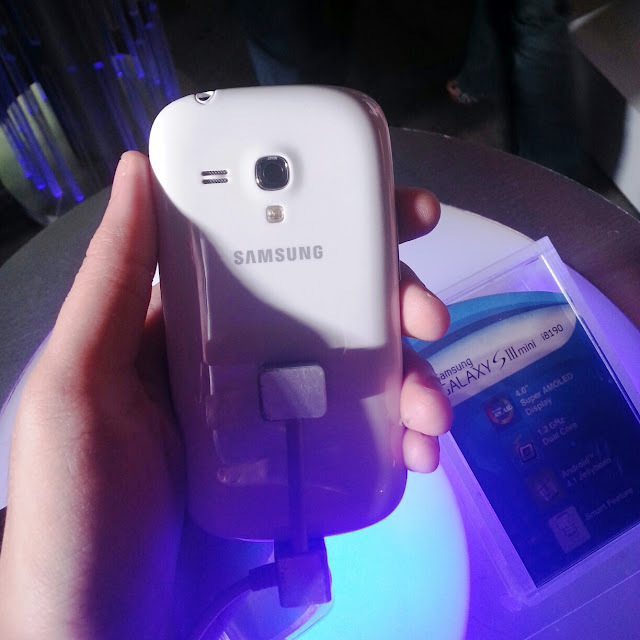 Powered by a 1GHz dual-core processor, the unique Samsung feature called Pop-up Play for multi-tasking purposes can be enjoyed seamlessly. 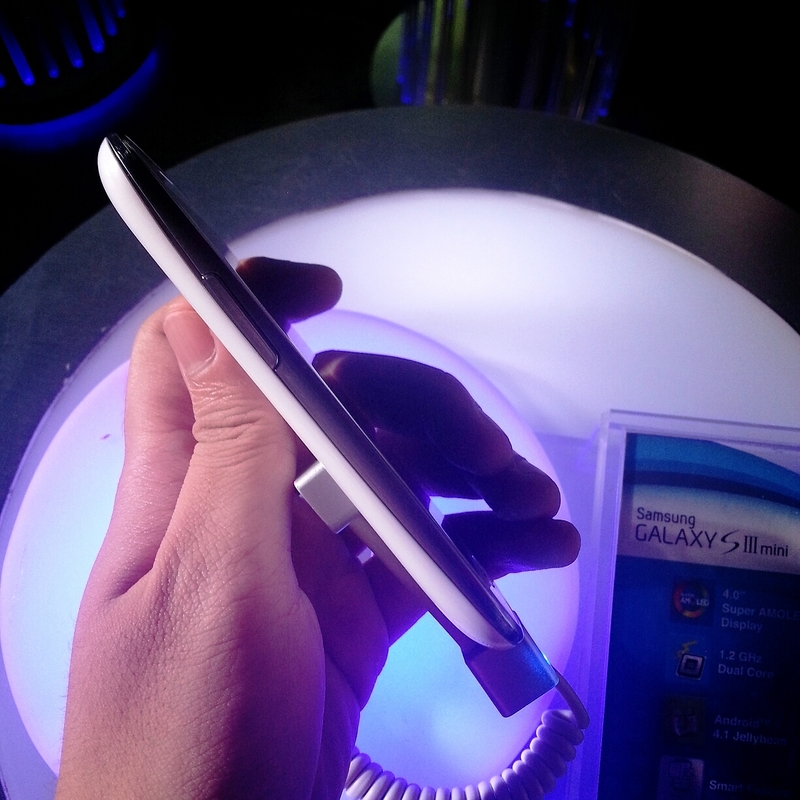 An heir of the Galaxy SIII, the SIII Mini has the same intelligent features like the Smart Stay (which detects if the user is looking at the display and keeps the display from timing out until the user looks away), Smart Alert (which detects when a user returns to the phone and gives him a brief vibrating nudge to inform about missed calls, calendar events, and new messages), and Direct Call (which allows a user to make a call simply by lifting the phone to the ear while writing or reading a message or while specific contact details are brought up to the display). For people with smaller hands who want an easy grip of a smartphone without sacrificing the features and capability, the Samsung Galaxy SIII Mini is really for you. 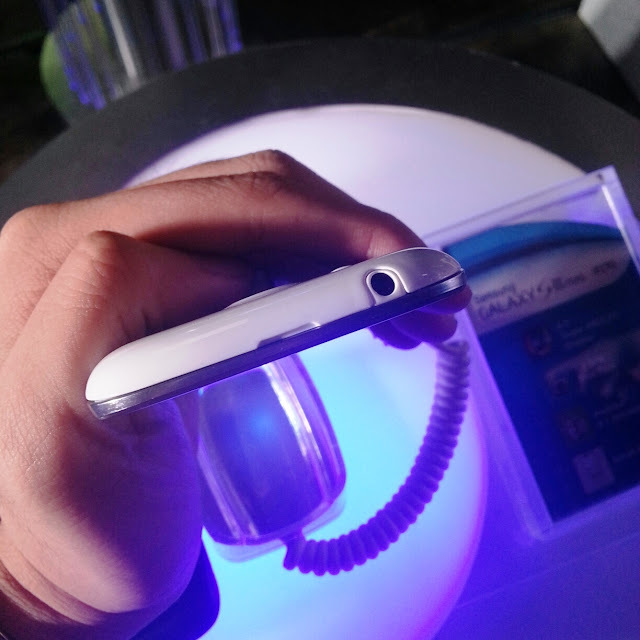 Running on the latest Android OS, Jelly Bean, the SIII Mini retails for only Php14,990! It is available in four colors - Marble White, Pebble Blue, Garnet Red, and Titanium Gray. 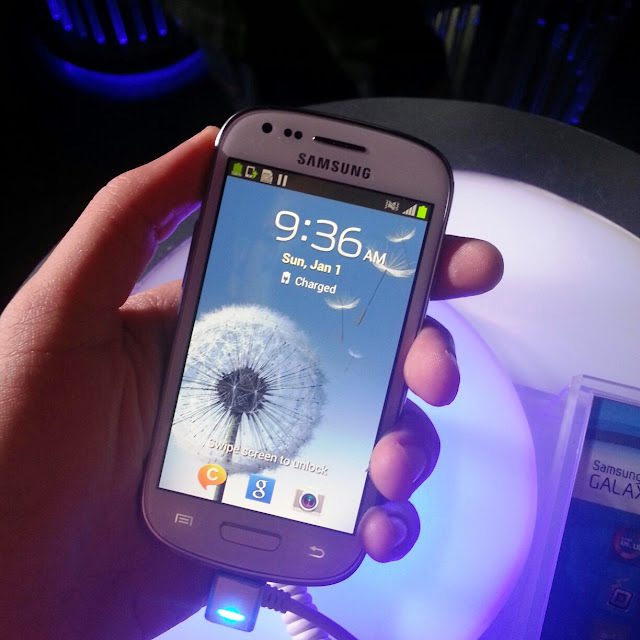 What's more, the Samsung Galaxy SIII Mini is exclusive to Globe until February 28, 2013. It is being offered FREE through Globe's customizable plans - Globe My Super Plan 999 (Php999 consumable, 50MB data, 2 freebies changeable monthly) or Globe My Super Plan Unli Surf Combo 999 (unlimited data, 1 freebie changeable monthly).